Ceres MTB the most affordable on the calendar raises funds for community. 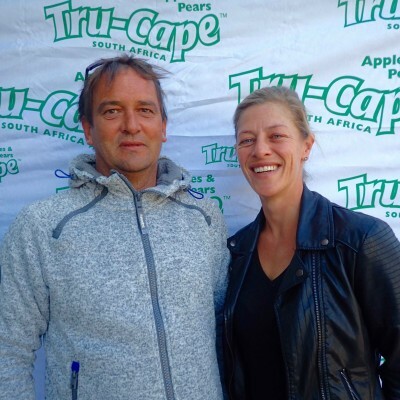 With the primary aim of raising funds for local schools and supporting Ceres homes for the aged, The Tru-Cape Eselfontein Festival is a three-stage event for the whole family and the most affordable one on the calendar. Set from Friday October 14 to October 16 in Ceres, The Tru-Cape Eselfontein Festival includes a three-stage Mountain Bike event and Trail Run which begins with a 40km day/night challenge at 18h00 on Friday. Routes on Saturday, October 15, include the 60km MTB kicking off at 07h00 as well as a 21km trail run and 10km fun run/walk. On Sunday the 50km MTB continues from 07h00. 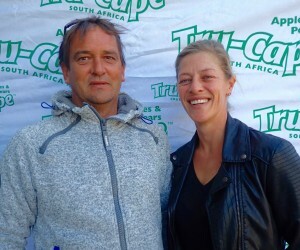 Fifth-generation Eselfontein owners and Tru-Cape growers Deon and Janene Malherbe hold this annual event to contribute much needed funds to their community. “Schools get 30% of every entry fee”, Janene explains, adding that they have already raised R150, 000 of the hoped for R300, 000 purse which will also be shared with homes Maudie Kriel, Ceres Tuiste and Peter Strauss for the aged. Deon says that the Ceres schools supported include Charlie Hofmeyr, Gericke Primary School, and FD Conradie Primary in Prince Alfred Hamlet. “We want our whole community to be involved in our festival and have especially set fees at the lowest level possible as well as providing free camping for entrants and their families,” says Deon. “From the age of 10 I was setting out MTB tracks on our farm and am filled with pride when I think about the staggering natural beauty we have been blessed with at Eselfontein and the thrilling downhill opportunities for everyone to enjoy.” Deon ends. More information at www.eselfontein.co.za, janene@eselfontein.co.za or call 082 502 8810. Online entires at EntryNinja.com or clicking https://www.entryninja.com/events/event/5221-eselfontein-festival.